12,721 others viewed this post. This will be the best shot I get from the Astrofest QLD Star Party this week! 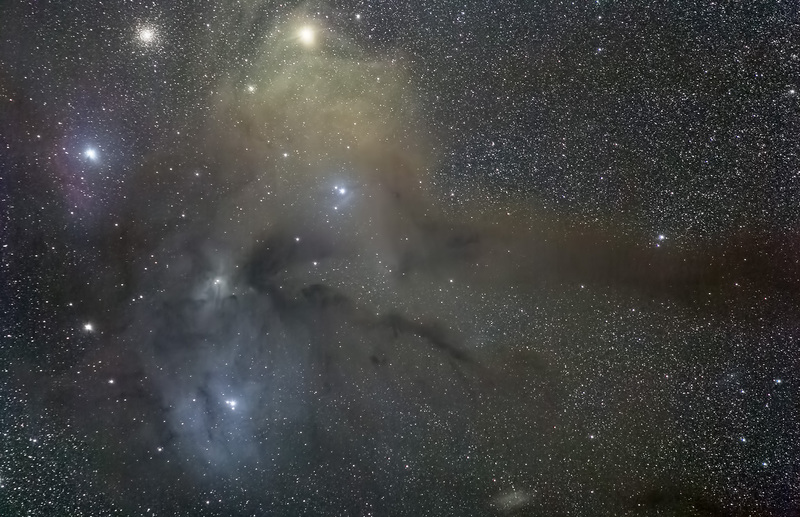 I finally got back to photographing the Rho Ophiuchi Cloud Complex with an excellent field of view thanks to a Canon 200mm L-series lens I borrowed from a friend. I can’t afford that kind of kit. This is the incredibly colourful Antares region, it may be the most colourful area? It sure seems like it. I’ve been meaning to shoot this again for ages and I’m pretty happy with this. It has some streaking (vertical bands) I’ll need to use bias frames from the Canon 70D to correct.